In the mood for a road trip? Envisioning yourself…tootsies on the dashboard, hands in the air, scarf securing your locks (Marilyn style) and the sea by your side? 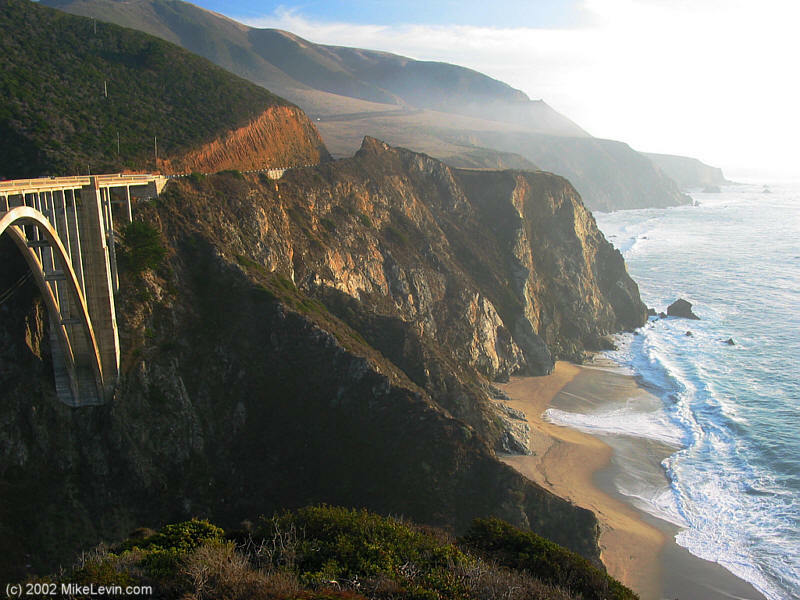 Head to California and take a drive on the most famous stretch of road in the country, California State Route 1, otherwise known as Pacific Coast Highway. Many make a two week journey from San Diego to northern California’s Redwood National Park, which is fun, but not a must. So if you don’t have two weeks to spare, don’t stress. You can explore the beauty of the PCH in a couple days and see the most beautiful stretch, which is from San Simeon to Carmel (passes through Big Sur which is the highlight of the entire PCH drive). After spending the morning hiking Point Lobos, we made our way south and stopped for lunch in Big Sur at the River Inn where we had a beer and lunch on the deck. After lunch we made our way to the shallow river and relaxed in a couple of the Adirondack chairs with our feet in the water and drinks in hand, soaking up the sunshine that was peeking through the pines overhead. The journey is not THAT long in mileage, but it will take you a while to get through those miles. No one is heading to work and everyone is taking in the beautiful view, stopping at each lookout point to take photos (we did at least 37 times), and driving very carefully (two lane road/windy/steep death plummet on ocean side), so give yourself an afternoon to make this trip. We arrived in San Simeon at 3:30pm and went straight to Hearst Castle only to find that the last tour went up at 3:30pm (oops). There isn’t much else to do in the town, so we went to an empty beach to watch the sun set, which turned out to be amazing when we realized we had the bottle of wine from our inn in Carmel, a bag of peanuts from the gas station, annnnd a fold out picnic blanket that I received from a vendor while working in Napa. Date on the sand! The castle closing early turned out to be a good thing, Hearst Castle tours are offered daily. A sunset date on a remote beach in northern California, on a fall evening, however, is not. The next morning we were on the first tour of Hearst which is truly remarkable and a must see if you are in the area. After our tour we made our way north all the way back to San Francisco, arriving in the late afternoon at the historic Fairmont San Francisco. After a quick refresh, we went next door for a sunset drink at the Top of the Mark and then went to dinner at an adorable little restaurant in Nob Hill. One final toast to another incredible trip. So if you don’t have the money or the two weeks worth of vacation racked up at work, don’t worry about getting to Europe, South America, and Asia so soon. Take a relaxing vacation and explore the incredible towns that make up this beautiful country. Download some music, pack a blanket, snacks, a map, and get ready for a remarkable adventure stateside.